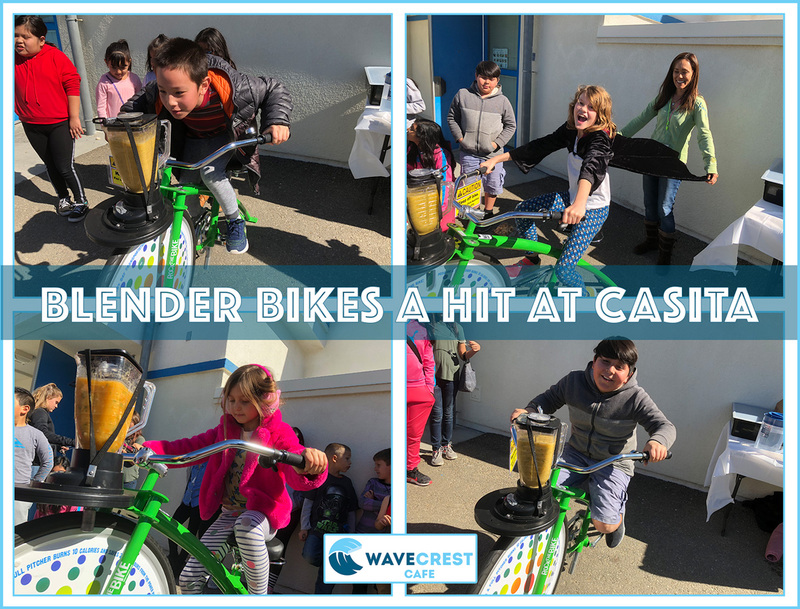 The WaveCrest Cafe blender bikes made a visit to Casita Center for Science, Math and Technology Elementary School on 2/7/19. 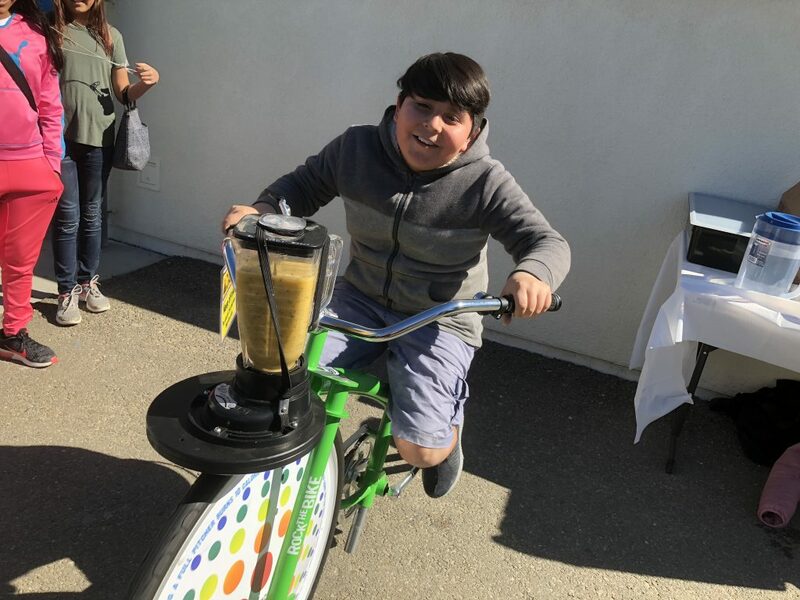 After a quick lesson for 4th graders on how we are sourcing more and more food from local and CA sources we headed out to the cafeteria to make and enjoy smoothies during all three lunch periods. In addition to dozens of students, we were able to have Principal Dr. Laura Smith ride the bike, as well as the WaveCrest staff. Here are a few short video clips to enjoy as well.